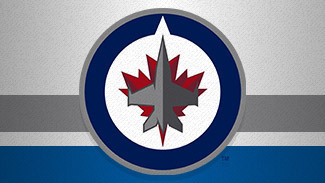 Though the Winnipeg Jets didn’t make the playoffs, they were one of the NHL's feel-good stories of 2011-12. The return of hockey to Winnipeg was greeted by a packed house every night, and the Jets dominated the local sports scene in a way they never did while playing as the Atlanta Thrashers. But the novelty of having a hockey team back in Winnipeg has faded, and the fans who welcomed the Jets so warmly a year ago are going to want to see more progress from a franchise that hasn't made the Stanley Cup Playoffs since 2007 -- and has qualified for the postseason once in its history. 1. Is Evander Kane ready to become a big star? Kane emerged as a 30-goal scorer in his third NHL season, showing the combination of skill and power the franchise envisioned when he was taken by the Thrashers with the fourth pick in the 2009 NHL Draft. At 21 years old, the restricted free agent looks like he's capable of more. The Jets are trying to secure him with a long-term contract, meaning they think he's headed for bigger things, but he has yet to sign, leading to all kinds of speculation. As the top goal-scorer on the Jets, he's the player they want to build around, so getting him to agree to a multiyear deal is a must. 2. Will Ondrej Pavelec play up to his new contract? General manager Kevin Cheveldayoff gave the 25-year-old Czech goalie a lucrative five-year deal after a season in which his goals-against average went up (to 2.91, from 2.73) and his save percentage went down (to .906, from .914). Pavelec didn't get a lot of help from his teammates -- he faced more than 34 shots per 60 minutes of ice time, a horrendous total in this era -- but he's going to have to take a few steps forward to give the Jets the kind of goaltending they'll need to be a playoff team. 3. What kind of impact will Olli Jokinen have? The Jets' biggest offseason acquisition had 61 points with the Calgary Flames last season; Winnipeg didn't have a 50-point center on its roster. Jokinen undoubtedly will get top-six ice time; he could wind up on the first line if Bryan Little proves he's not up to the job. The Jets are optimistic Jokinen will be at least as good as he was last season. They're banking on him to provide size and leadership as well as offense. If he does, they could take several steps forward. If not, the Jets figure to be grounded again. 4. Will the penalty-killing improve? The Jets did not address one of their biggest failings last season: the inability to kill penalties. Winnipeg allowed 58 power-play goals, more than all but two teams; gave opponents 292 power-play chances, seventh-most in the NHL; and managed three shorthanded goals (the League low was two). Neither of the two forwards acquired this summer (Jokinen and Alexei Ponikarovsky) figures to spend a lot of time on the PK, so the Jets will have to get better from within, using largely the same cast that struggled last year. 5. Can Dustin Byfuglien improve in his own end of the ice? There's no question Byfuglien is one of the NHL's most productive defensemen when it comes to generating offense -- his 53 points in 66 games were tied for second in the League. His booming shot is a weapon, especially on the power play. But Byfuglien isn't nearly as good in his own zone -- he's been a minus player in each of the past three seasons, including back-to-back years when he's put up 53 points. Byfuglien is an offensive force, but he's got to pay more attention to defending for the Jets to be able to turn more of those points into wins. 6. Will the honeymoon in Winnipeg last? Having NHL hockey again was enough for fans last season. They began cheering during warm-ups on opening day and didn't stop until the final horn on April 7. The Jets responded to the support by going 23-13-5 in front of the home folks as opposed to 14-22-5 on the road. But for all the love and support they received, the first-year Jets were only four points better than the 2010-11 edition of the Atlanta Thrashers and came up short of a playoff berth again. The 15,004 fans who pack MTS Centre every night, and the thousands more who live and die with the team, are going to want more this season than merely having the NHL back in town. Missing the playoffs a second time could do a lot to take the bloom off the rose of this love story.